WaterStep’s Portable Water Treatment System is a mini water filtration and chlorination plant designed to provide potable water. 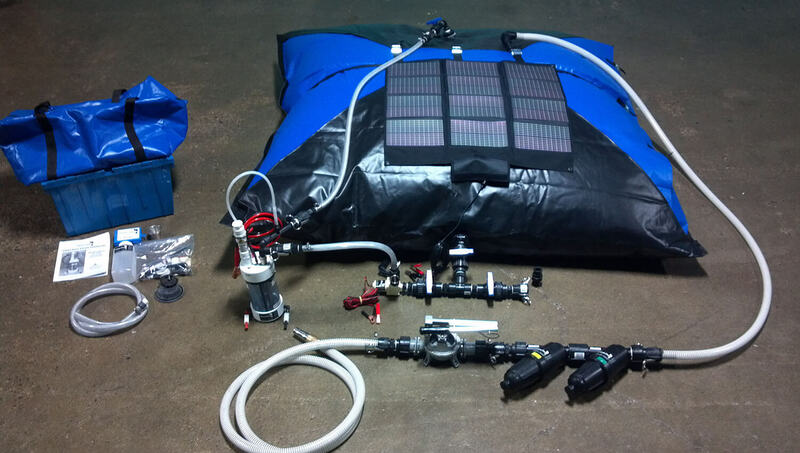 WaterStep’s Portable Water Treatment System (PWTS) is a mini water filtration and chlorination plant designed to provide thousands of gallons of potable water each day. The PWTS includes most of what you need to set-up and operate the system immediately upon arrival at the site. It is compact, sustainable, easily transportable, and quickly assembled due to the systems quick connect modules. The PWTS operates off of AC/DC electrical power or an operator supplied 12-volt battery. An 80-watt solar panel is included to charge the operator supplied 12-volt battery, cell phones, or other field equipment. 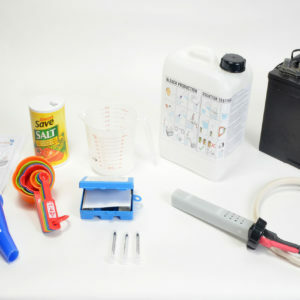 What’s more, the kit includes a WaterStep Bleach Maker allowing the on-site manufacturing of disinfectant for use on surfaces, utensils, or even medical equipment. The Bleach Maker is vital to reducing the spread of diseases common in post disaster operations. With little training, anyone can set up and operate the PWTS. It’s versatility, allows the operator to quickly and efficiently deploy the PWTS at refugee camps, as a mobile potable water delivery system deployed on the back of a truck, or to manufacture safe water at pre-selected distribution points. For anyone working in a disaster, the PWTS provides access to large amounts of affordable, safe water for drinking and general use. The included Bleach Maker helps to prevent life-threatening outbreaks of easily transmitted bacteria and parasites, that thrive in crowded areas, living quarters and contaminate storage containers. 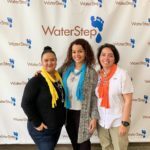 WaterStep’s Portable Water Treatment System puts safe water and disinfectant within reach and has been deployed to Puerto Rico, Philippines, Northern India, Honduras, Nepal, and staged at specific U.S. locations. At the heart of the PWTS is the M-100 chlorine generator. The M-100 can manufacture up to 55gallons (250L) of safe water a minute, using only common table salt and a 12-Volt power source. The only maintenance required is to flush the M100 out with water after each use. Similar systems have been in use 15+ years. In 2012, the M-100 was awarded as one of the top 100 sustainable innovation to change the world by Sustainia in Denmark. 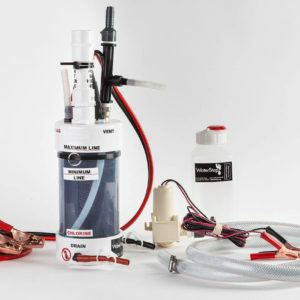 Also, in the kit is WaterStep’s Bleach Maker which is capable of manufacturing 1.3 Gallons (5L) of bleach every hour using only common table salt, water, and a 12-Volt power source. The bleach produced exceeds the World Health Organizations requirements of 5000 ppm to clean medical waste. 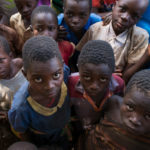 The Bleach Maker was created in direct response to the Ebola Virus outbreak, and has proven itself a vital tool in preventing outbreaks of even the most dangerous of diseases. In 2016, it was given Environmental Protection’s award for product of the year. Also provided, is a 100mic/25mic Disc Filter pack that filters turbid water. 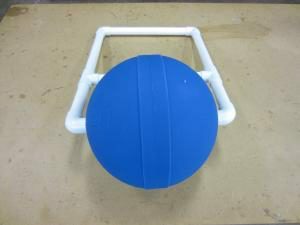 Instead of often hard to obtain replaceable filaments the disc filters are simply rinsed out when clogged. Finally, a Guzzler Hand Pump can pull water from a water source, through filtration and chlorination into the included 500 gal. Bladder Tank via a quick connect manifold. A larger Bladder Tank is available if needed. Once the disaster is over the M-100 can still be used to provide safe water to communities in remote areas or without access to safe water. The M-100 has been used all over the world as a stand-alone water treatment solution for developing communities, delivering thousands of gallons of safe drinking water in 40 countries. 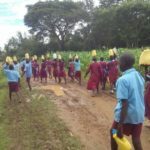 It has proven itself a simple, locally sustainable, and affordable means of providing community level water access. As such, the M-100 can seamlessly transition a community from disaster response to post disaster life without interrupting water access.